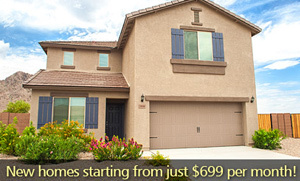 Brand new LGI Homes’ house for sale in San Tan Valley, Phoenix, AZ with 3 beds and 2 baths. Floorplan features: The Bisbee floorplan offers easy family living, all on one level. This layout features a formal dining room off of the main entry, which flows into a large open kitchen. The superior kitchen space includes custom upgraded 36-inch maple cabinets, granite countertops, quality appliances (including a new refrigerator), raised-panel doors and a host of other upgrades offered at no cost to the buyer. Two of the bedrooms share a full bath and both have easy access to the laundry utility room, as well as an additional closet. The master bedroom is located at the rear of the home for privacy, and includes a large walk-in closet, ensuite master bath with large garden soaker tub and separate shower. The oversized living room is open to the kitchen making it feel spacious, while also allowing access to the large covered patio that transitions indoors into the backyard. About San Tan Heights: The master-planned community of San Tan Heights is located in Metro Phoenix’s East Valley foothills, and is home to more than 3,000 residents. LGI Homes offers San Tan Heights home buyers affordable living in an amenity-rich community, bringing their signature high-value, high-quality construction to this peaceful, natural landscape. Each new home comes with a ten-year structural warranty, and fully-landscaped front yards, fenced back yard, and covered patios are included. Other upscale touches include upgraded trim, vaulted ceilings and a spacious two car garage. Each brand new three, four, and five bedroom home is on an oversized lot, and within a short walk of community amenities like parks, walking trails, greenbelts, children’s playgrounds, and basketball courts. 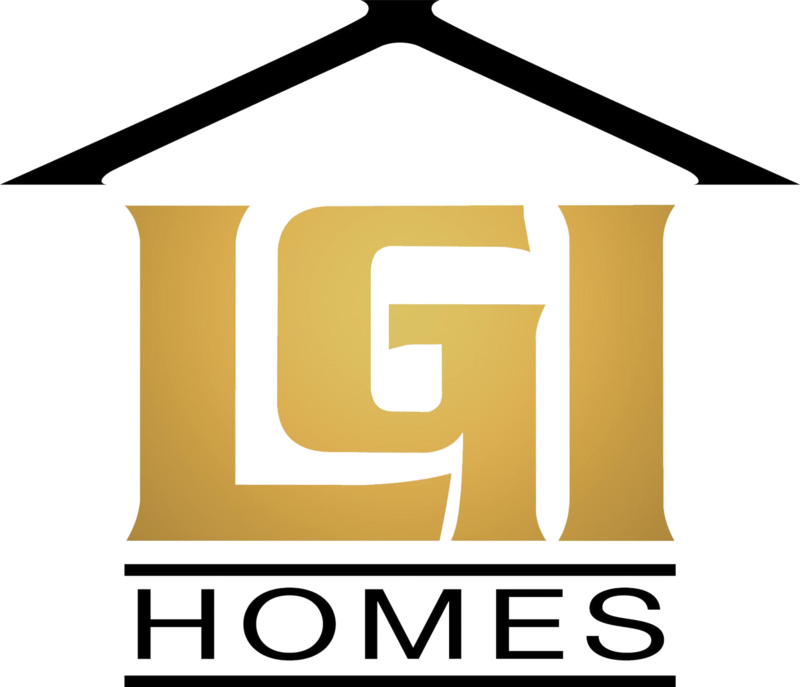 Hot on the heels of 2011′s incredibly successful sales year (in which we placed a record number of buyers into their own beautiful new homes), 2012 is already promising to become another milestone in LGI Homes‘ history. That’s because this year we’re bringing the LGI Homes model of home building into two new cities: Austin, Texas and Phoenix, Arizona! LGI Homes' new home community Sonterra, located in Austin, TX. The LGI Homes focus on value, affordability and quality has driven our success in a number of markets across Texas, so we’re excited to expand into the unique and dynamic setting of Austin, one of Texas’ most forward-thinking, diverse and vibrant cities. Sonterra, our first community in Greater Austin, is ideally situated just off of I-35, and offers homebuyers exceptional value, with prices starting at just $679 per month. Commuters will enjoy unparalleled access to the urban areas of Austin, Georgetown, Salado, Belton, Temple, and Killeen/Ft. Hood, while those staying closer to home will enjoy countless superb amenities and a close-knit community experience. Floorplans at Sonterra range from 3-5 bedrooms, and include over $10,000 worth of designer upgrades at absolutely no cost to the buyer. With oversized lots, a family park with clubhouse, a pool with toddler-friendly splash-play area, walking trails and a brand-new elementary school, Sonterra promises to be one of the Austin area’s most popular family-friendly communities. LGI Homes' new home community San Tan Heights, located in San Tan Valley, AZ. In Phoenix—our first expansion outside of our home state of Texas—buyers will thrill at the homes we are offering in San Tan Heights, a stunning master-planned community in Phoenix’s East Valley. San Tan Heights offers easy access to all points in the greater Phoenix-metropolitan area, but capitalizes on the quiet beauty of its location in East Valley foothills. An incredible natural setting, exceptional community amenities and astonishingly affordable prices (starting at just $679 per month!) make San Tan Heights a premiere choice for homebuyers looking for family-friendly communities and the active, adventurous lifestyle so typical of this Southwestern state. Whether it’s the spacious oversized lots, the modern 3-5 bedroom floorplans, or the generous home warranty that brings you out to visit us at San Tan Heights, you’ll soon find that you stay because of the neighborhood feel, the ideal location, and the level of service, quality, affordability and value that is the signature of LGI Homes. So here’s to 2012, a great year that promises—especially for the savviest homebuyers in Austin and Phoenix—to be one of the best yet.